All programs will be offered at our training facilities located in Jacksonville Beach, FL​. Guests enjoy ocean view rooms, a fantastic pool and outdoor bar and grill, and attendees receive a free full American breakfast as part of their seminar fees! 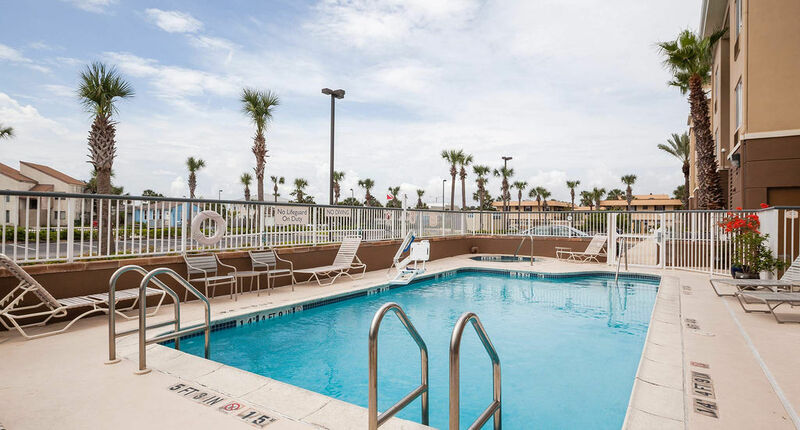 Jacksonville Beach is a quiet, family-oriented beach front community that offers a wide array of dining and after-hours entertainment, along with Florida’s most spectacular beaches. Encompassing about 4.5 miles along the gentle Atlantic Ocean Jacksonville Beach is Florida’s best-kept secret. The beach is wide and lined by small soft dunes. There are beach walkovers at most street-ends. Offshore boat races beach volleyball fishing surfing and sunbathing are just a few of the treats that await you. The 1 300-foot Jacksonville Pier is good spot to watch locals catch some dinner; the one-mile boardwalk is a nice place to stroll or people-watch and the Sea Walk Pavilion is host to many concerts and events. 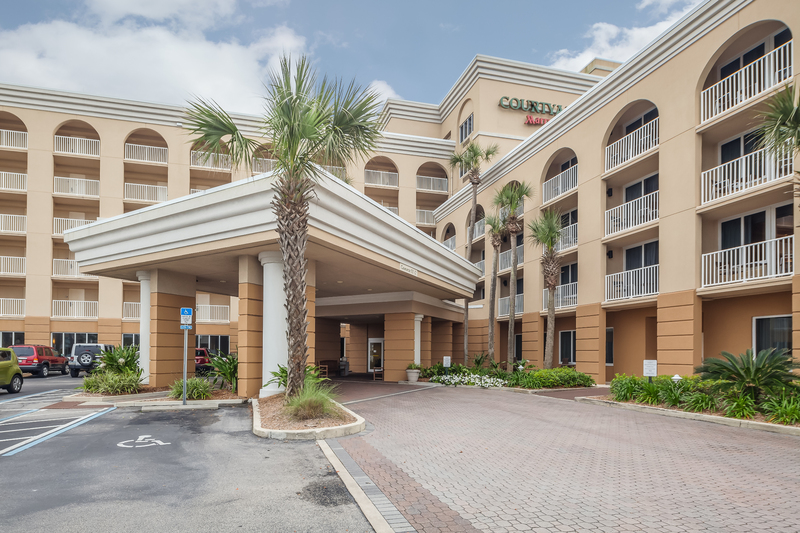 The Courtyard by Marriott Oceanfront is just minutes from many of the hottest things to do in Northeast Florida, including relaxing on the widest and softest beaches in Florida, sport fishing, visiting the nation’s oldest city, St. Augustine, and playing golf at the famous Players Championship Golf Course, the home of the PGA! 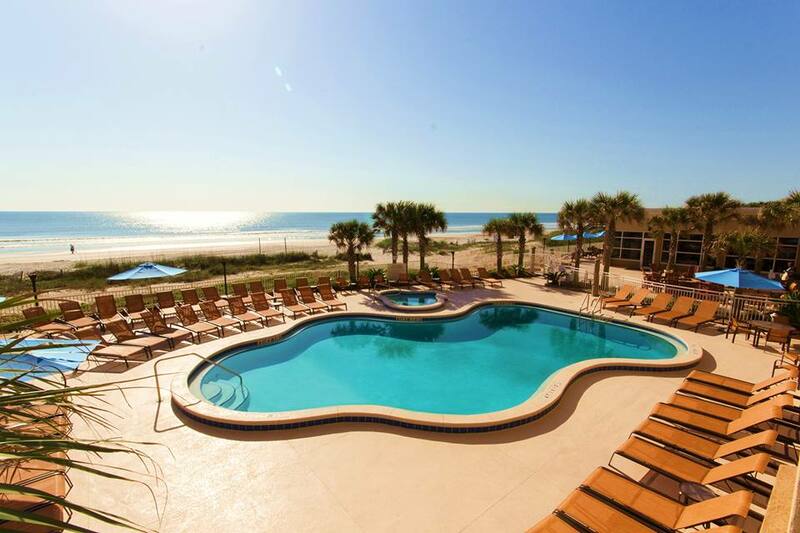 Choose a change of pace that includes breathtaking views when booking Florida travel at the Courtyard Jacksonville Beach Oceanfront. Welcomed by our hotel’s newly renovated lobby, guests can stop for a healthy meal or a refreshing drink at The Bistro and enjoy great oceanfront views while sipping their favorite Starbucks® drink or evening cocktail. Our lobby also features a business center and plenty of room for visiting with family and friends. Offering thoughtfully-appointed guest rooms and suites, our hotel pampers guests with free Wi-Fi, large desks, premium movie channels and comfortable king- and queen-sized beds. Book an oceanfront room for incredible views, relax poolside under the Florida sun and enjoy the hotel’s oceanfront poolside tiki bar. 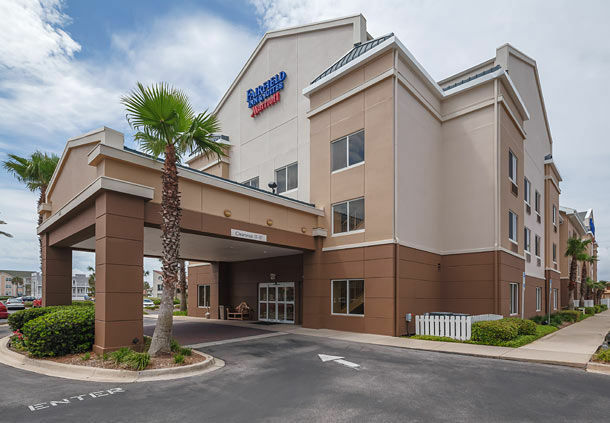 As an added bonus, our hotel’s convenient location near Atlantic Beach, the University of North Florida and the Mayo Clinic puts top destinations at your fingertips. We look forward to welcoming you to the Courtyard Jacksonville Beach Oceanfront.